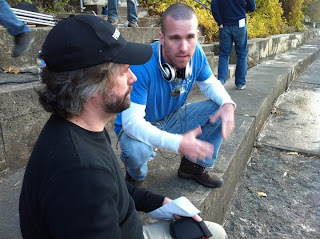 Midwest Movie Maker contributor Peter Balint introduces us to Cleveland native Chris Peplin. Peplin recently wrapped production on Beautiful Garden, a project driven in small part by one goal: make a feature length film by the time Peplin celebrates his 30th birthday. He’ll do it — with time to spare. Peplin wrote, produced and directed Beautiful Garden. And it’s independent film at it’s best.